Have you ever dreamed of becoming an astronaut? A sort of hybrid between Neil Armstrong, Chris Hadfield and Bruce Willis (in Armageddon). Of course you have, and so has everyone else! Because everyone is fascinated by space. Tremblant Beneath the Stars is the perfect setting for learning all about the cosmos and the stars (or to simply learn to differentiate between a star and a planet). A night of outdoor activities awaits you, from sunset to sunrise (well, until midnight actually, when activities come to an end for the day), while you count the shooting stars flickering in the sky above your head. On top of Mont Tremblant, amateur astronomers welcome you telescope in hand for a night of spatial exploration. They will point out constellations, planets of our solar system and the International Space Station passing high above. Enough information to impress your friends at your next bonfire! For those interested, a 45-minute conference will be offered on the Rosetta spacecraft’s adventure through space as it moves closer towards its goal of landing on comet Churyumov/Gerasimenko next November (…will the speaker be able to remember the comet’s full name without looking at the cue cards? Stay tuned!). If you prefer more physical activities, you can also enjoy a night walk in the forest. A truly star-studded evening! 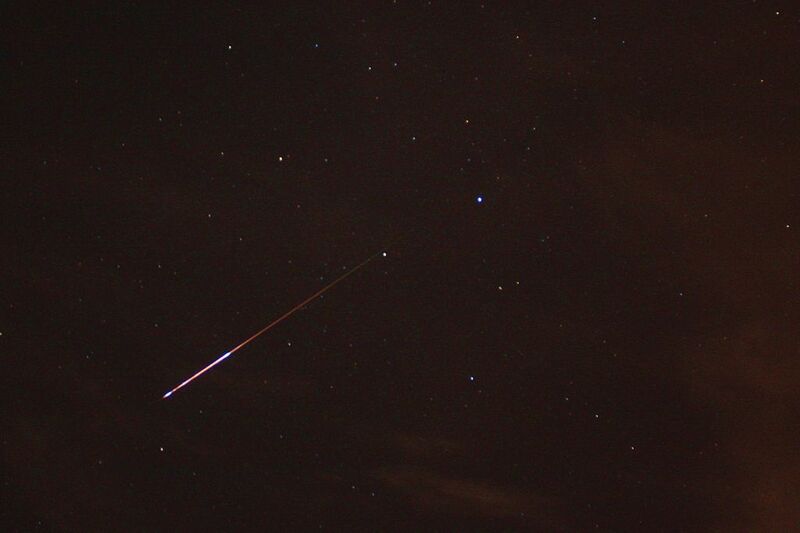 The Perseids are the most spectacular meteor shower of the year! To make sure this night is memorable (in a good way), here are a few tips. Spending the night outside means cold so dress warmly, bring a blanket and, if you feel like it, a midnight snack. The Grand Manitou at the summit will also be open to ensure hungry revelers can grab a bite. And why not bring a folding chair while at it, to make yourself even more comfortable! Until you can afford a real trip to space, Mont Tremblant’s summit is the place to be on August 8 and 9 for a visit through space! Click here for more details on lodging and panoramic gondola tickets.